A makeshift teddy-bear memorial, bearing a picture of little Jessica, served as a reminder yesterday of a life cut drastically short. 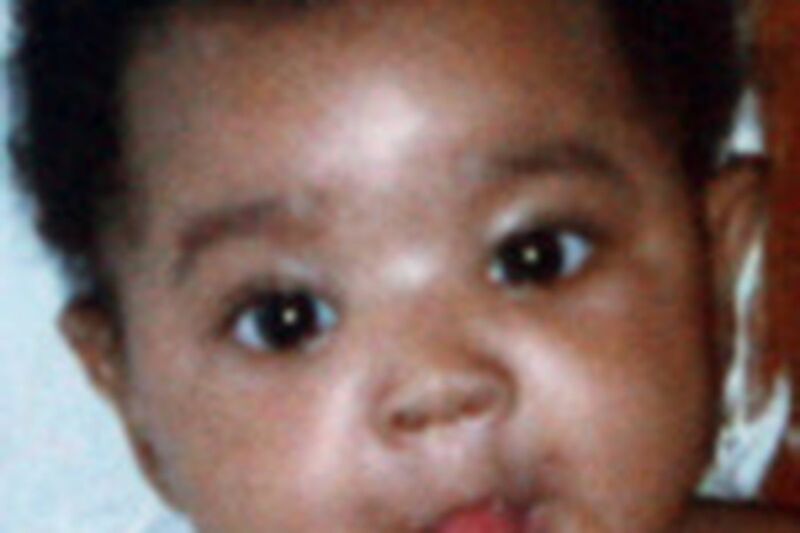 Jessica, 14 months old, was found on a couch on the first floor in her West Philadelphia home after a fast-moving fire ripped through the house yesterday morning, fire officials said. Just after midnight, neighbors reported seeing fire and hearing calls for help from those inside the three-story rowhouse on Thompson Street near 49th in the city's Mill Creek section. The blaze was caused by children playing with a lighter, the fire marshal said. The baby was the only casualty in a fire that could have been prevented, fire officials said. "They had smoke alarms, but no batteries were present at all," said Deputy Fire Commissioner Daniel Williams. "We recovered one person in the first-floor middle room, which turned out to be the 14-month-old, who was transported to Children's Hospital, dead on arrival." According to neighbors, a woman named Dorothy lived in the house with her boyfriend, Emmanual. Neighbors said they didn't know the last names of Dorothy or Emmanual, but records list her as Dorothy Smith. Luther Mosley, a next-door neighbor whose house sustained smoke and water damage from the blaze, said that the boyfriend jumped out of the second-floor window, while two boys also managed to escape. "This was an accident waiting to happen," another neighbor said. "This was the third fire, and this was the worst. I really feel sorry for the baby." Williams said baby Jessica was this year's 25th fire fatality. The total for last year was 32.